Connecticut will join other states in suing to block a new Trump administration mandate that bars federal family-planning money from going to health care groups that offer abortion referrals. 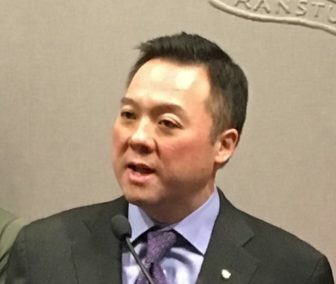 Attorney General William Tong said he would take “swift legal action” to preserve the federal funding for organizations like Planned Parenthood. Officials in Washington state and Oregon also have pledged to sue the Trump administration over the decision. The so-called “gag rule,” announced Friday, would create barriers for women, especially women of color and low-income women, who are seeking abortions. It would prohibit health care providers who receive federal money known as Title X funding from referring patients to abortion clinics. The providers will still be able to perform abortions, but would have to do so in separate facilities and abide by the requirement that they not refer patients to those facilities. In Connecticut, at least 38,000 patients rely on that federal funding for access to services such as cancer screenings, testing and treatment for sexually transmitted diseases, and birth control. The bulk of those patients visit Planned Parenthood clinics throughout the state. Tong’s office could not say if there were other state health centers that receive Title X money. For the most recent grant cycle, which runs from April 2018 through late March of this year, Planned Parenthood of Southern New England received $2.4 million in Title X funding, its president and CEO, Amanda Skinner, said. That represents about 7 percent of the group’s annual budget. Skinner said Planned Parenthood, which will refuse future Title X money if the gag rule is upheld, won’t turn away patients who cannot afford to pay. But the organization will vigorously pursue new streams of funding, she said, including tapping its donor base and seeking additional grants. “We have seen repeated efforts on the part of this administration to dismantle programs or put into place programs that harm people who are already the most marginalized in our society,” Skinner said. Sixty-one percent of patients who qualify for Title X funding at Planned Parenthood of Southern New England are people of color, she said. Twenty-nine percent are African American and 32 percent are Latino. The Trump administration’s new mandate could direct federal family-planning money to faith-based, anti-abortion groups. Health centers will no longer have to counsel women on all reproductive options, including abortion. There are about 25 religiously-based facilities, sometimes called crisis pregnancy centers, in Connecticut. Christina Bennett, communications director for the Family Institute of Connecticut, which opposes abortion, said faith-based centers typically do their own fundraising, but she was heartened to hear about the new regulations. “We’re grateful for whatever funds are re-directed away from Planned Parenthood because we not believe that taxpayer funds should go to organizations that offer services that many millions of Americans don’t support, as in abortions,” she said Tuesday. Other groups have threatened legal action against the gag rule. Maine Family Planning, a leading women’s health care provider in Maine, announced last week that it would seek an injunction to prevent the edict from going into effect. The National Family Planning & Reproductive Health Association also has said it would sue over the decision.